Welcome to our Blog! Please join the conversation with the latest company news and industry trends! Safelite’s infrastructure is comprised of hundreds of applications, monitored constantly by a network monitoring system. Previously this system did not have a useful way to notify technicians wirelessly of any sudden network anomalies.The company’s main messaging protocol was email, which is unreliable for the notification of network service outages. Any wireless communication between teams required a great deal of tedious programming, including typing individual email addresses for delivery.Precisely for this reason, Ted Meisky, the Manager of Open Systems for Safelite was tasked to find a more reliable wireless communication system for his company. During his search he discovered that HipLink was the only viable solution. Upon looking for a wireless communication solution perfect for his company, Ted performed copious research. 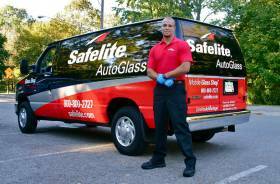 His results led him to conclude that only HipLink would work with Safelite to find the perfect communication plan for their company. Ted stated that he was “immediately impressed” with HipLink’s very robust group scheduling and escalation features, both of which Safelite had been sorely lacking in their past communications plans. HipLink was able to integrate with the company’s existing contact lists. Safelite was then able to program primary and secondary escalation of network alerts to 80 receivers. HipLink connects to a wide variety of communication types, including email, dial-up, and other wireless messaging protocols. Ted also found that HipLink’s incredible expandability was a must-have for Safelite. Using HipLink’s command line interface (CLI), Safelite was able to write the code for an additional front-end application that gave individual support groups extra control over their specific scheduling requirements. With this additional feature, the company is able to do things like overriding a team member’s on-call status. With so many receivers on so many different teams, the flexibility of changing schedules at any time is invaluable to the company. Overall, Ted has found that HipLink was the perfect choice for Safelite’s new wireless communication system. It allows the company to centralize the management of their mission-critical alerts while also working around multiple complex schedules. Above all, HipLink worked to redesign communication within the company without forcing the company to redesign their existing infrastructure. Saving lives is one of the main purposes of a hospital. In order to fulfill this purpose, a hospital must have clear communication. Healthcare providers work together and are constantly in communication in order to provide the best healthcare possible. However, trying to manage multiple pages can cost both time and money. One hospital found a solution to this problem and it’s saving them in a big way. Within the hospital, pagers are used for communication between the staff. For example, caregivers often page doctors for the needs of multiple patients. This requires doctors to manually check on each patient in two ways. They must make sure that the patient being paged about is either getting covered by another specialist, or decide whether they need to go take care of the needs of that patient themselves. One hospital realized that this process was taking up to 20 minutes of time and costing the hospital. During this time, the doctors were not taking care of patients and were costing the hospital money for standing around trying to make sure that each patient was covered. While this seems like a short amount of time, on average a healthcare worker goes through hundreds of these incidents per year. The time adds up. These incidents ended up costing this hospital tens of thousands of dollars every year. To try and solve this problem, they used an outside paging service, but this service alone cost thousands of dollars per month. In order to solve this problem, the hospital needed a way to repeat messages to unanswered pages and involve a backup resource after that. By not requiring each person to manage their pages, the caregivers would be able to tend to the next emergency or task. This would significantly cut expenses for the hospital and would reduce the amount of dependency on outsourced paging services. HipLink provides an easy way to configure the hospital's unique process for patient coverage of several types of emergencies. In action, HipLink sent pages multiple times, provided grouping, and escalation functions. This means that caregivers were no longer wasting time managing their own pagers. They were able to continue on with their work with the assurance that patients in need were still getting help. They also provided multiple messengers so that they weren’t just relying on one system to communicate. 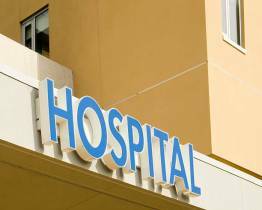 By using Hiplink, this hospital was able to reduce their monthly expenses. Moreover, they were also less dependent on an outside paging agency for their run practices. Hiplink also improved their patient response time, lowered operation costs, and increased productivity. It’s estimated that because of Hiplink, this hospital saved over $100,000 during their first year of use. Time is so important in a hospital. Wasting time can cost mass amounts of money and lives. By using Hiplink, this hospital was able to make comprehensive improvements. They made more money, wasted less time, and saved more lives. This is why this hospital, along with many others, have implemented Hiplink into their business. Loblaw Companies Limited shaped and in many aspects created the modern supermarket. Self-serve style supermarkets were an innovation, and the chain had over 1,000 locations with a new set of headaches to handle. Communication was top priority. That’s where HipLink joined Loblaw Companies Limited and had to make sure Canada’s largest food distributor kept up with the demand. Loblaw’s technical support group had a lot riding on their shoulders. They oversaw the software that controls distribution, inventory, and billing departments (among others). They worked hard to make sure systems stayed active, but no program is perfect. When one system went offline, they had to be prepared to spring into action. Communication was key. Paging key personnel or placing a few calls was not enough. Too many calls went unanswered and pages were lost. They needed a faster, real time way to connect with staff on location to ensure the downtime doesn’t impact the entire business. Basic solutions like calling and paging were used for years, but as technology advanced, the need for a more efficient way to communicate became imperative. It can become quite easy for things to go wrong when you’re picking up a phone or sending a page. Even when the system is working perfectly, it’s time intensive and eats resources that the technical support group could be placing elsewhere. The problem with replacing the system, however, had to do with size and scalability. Using phones and pagers wasn’t working perfectly, but it was working alright: orders were mostly getting filled, however the communication through manual paging and phone calls was very time consuming. Loblaw concern was that they didn’t want to jump from a workable, inefficient solution to one with greater drawbacks. “Out of the frying pan, into the fire” could drastically impact the business. Moving forward with an enterprise-wide solution wasn’t feasible. Choosing a difficult to implement solution wouldn’t allow them to roll it out to the rest of the company in stages. They were at a standstill until they found HipLink. HipLink offered the functionality of other systems but with the opportunity to quickly launch a simple, straightforward solution that solved their immediate problems. 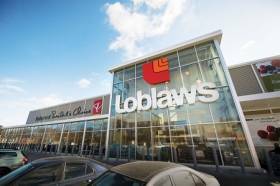 Loblaw was able to see HipLink in action before committing to an enterprise-level system upgrade. It installed quickly and barely interrupted any workflow. Scaling was simple. HipLink rose to meet the challenges and impressed the support team with its responsiveness and ease of use. Loblaw is a large company, but you don’t have to be a large company to benefit from HipLink. Wireless communication is key to handling time-critical, high impact information. HipLink is a powerhouse, whether it's used in one department or all of them. Best of all, it grows along with your business. Medical centers are in the business of saving lives, making patient survival rates heavily dependent on the expediency and efficiency of the medical center’s communication methods. For instance, the ER nurse activates the trauma teams and the doctors and staff need the paging system to keep each other informed of developing situations and emergency cases. Unfortunately, the most common technical solutions for medical communication are outdated and inflexible. Medical centers need very specific communication systems in order to meet HIPPA standards which require that sensitive information is protected. This results in limited upgrade options that can restrict opportunities for growth and improvement. However, medical centers do grow. One of the primary problems with an existing system at Oklahoma Medical Center was its failure to keep pace with other key systems. The distributor’s poor customer service and technical support made it difficult to fix problems or improve existing flaws. An Oklahoma Medical Center needed more from their communication service. They needed hardware and software that could reach doctors and specialists on any device or platform. Any potential solution would have to reach staff on various carriers. A web-based graphical user interface (GUI) would simplify communication. Most importantly, the new system needed to be reliable, and it needed to back up that reliability with redundancies. HipLink drew the Oklahoma Medical Center’s attention with the HipLink Desktop Messaging solution. It started at the heart of the medical center’s system by addressing the need for a web-based graphical user interface. This centralized system creates a natural shortcut to processes that took far longer under the old system. As departments were able to use templates for rapid messaging, first responders no longer had to go through phone trees. In addition, on-duty staff could rely on their messaging system to alert them in emergencies. HipLink also implemented carrier redundancy. The system provided additional reliability with automatic failover and carrier support. 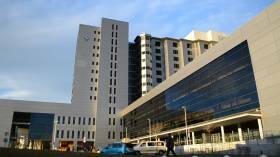 With the system’s flexibility, the medical center is free to grow and adapt to new technology. This is thanks to HipLink’s scalable products, which transfer easily between different platforms, devices, and carriers. The centralized solutions that HipLink brought to the Oklahoma Medical Center immediately eased the center’s mission to provide the best quality care to patients. With the new system in place, doctors and staff can rely on their paging system. It reaches everyone, cuts down wasted time, and is already saving lives. Time is everything in a medical center, especially one with the diverse range of services offered by the Oklahoma Medical Center. HipLink’s centralized communication system made it possible to communicate faster, easier, and more reliably. Ambulance crews can get information back quickly, and data goes out to all of the relevant teams rapidly. Most importantly, HipLink remains involved with their system, providing the support the medical center requires. Read our case study HERE.